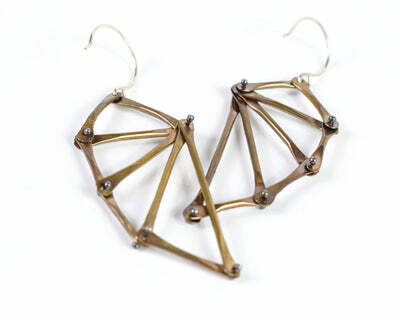 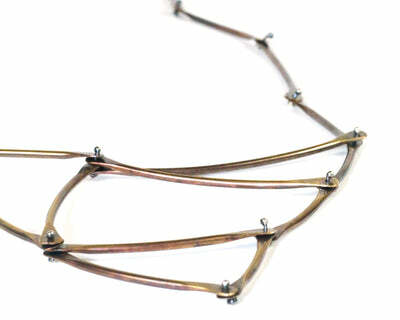 Elegantly style your outfit with this stunning and kinetic accessory. 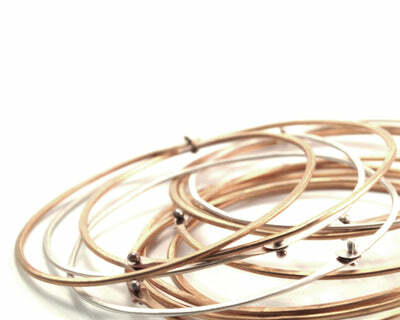 Riveted and tapered brass wires allow the piece to move and change shape as you move. 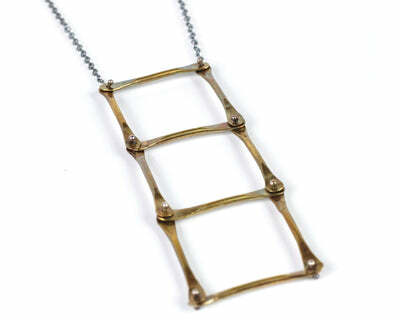 This brass and sterling silver necklace is ingeniously rendered to attract compliments and intrigue admirers. 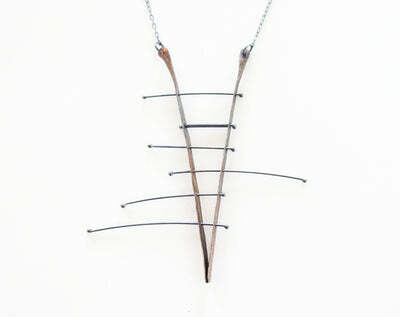 The square is 2 ½” by 2 ½” and hangs on a sterling silver 17" chain, which can be adjusted to any length upon request.